Porta cabins are specially designed buildings built for movable purposes contrary to permanent buildings which are built for permanent establishments. 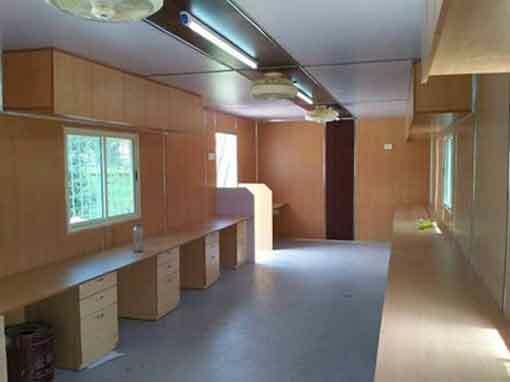 Office cabins are mostly constructed by organizations where the absence of raw materials is prominent and creating a permanent structure would require a lot of costs. As the name suggests, porta cabins offer the independence of choosing a wide range of designs, coloors and shapes to the builder. As coming with various shapes and sizes, a user will have the opportunity to build a stay without paying any significant labour charges. SAMAN is a prominent name as a supplier of all types of prefab portable structures with variouse sizes and designs that suit and meet customer’s requirements. With an aim to promote the move of a sustainable future, we use recycling materials and remanufacture them into sophisticated establishments. Speedy Construction: Comparing to a permanent structure, making a portable cabin saves more than 30 to 70 % of the time of the user. Organizations can profoundly benefit from this as they would have more time focus on main goal of the projects. Moreover, users can easily deconstruct their temporary stay and transport them to a new location, once their purpose is fulfilled. 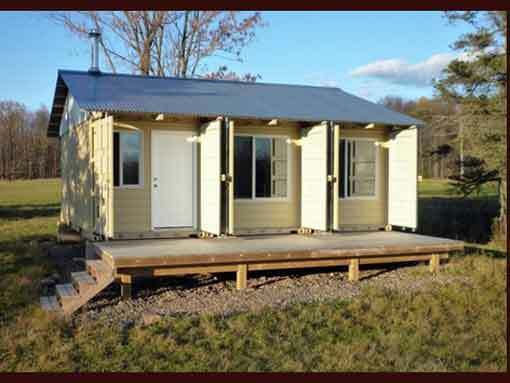 Premium Quality: The portable cabins offer the same safety and functionality as a permanent structure. The porta cabins at SAMAN are built in a controlled environment comprising top quality materials, providing a temporary stay anywhere you want. Our products are built complying with all the building codes and maintaining a lower carbon footprint for a eco-friendly approach. The cost of constructing a permanent building is significantly higher compared with a pre-built portable structure. Since we purchase all our construction materials in bulk, it helps us to reduce the cost price tremendously and enables you to buy our end products at a cheaper budget. 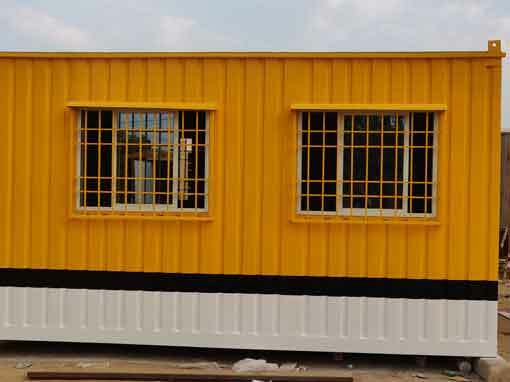 Besides, the necessity of hiring a crew of on-site workers is also reduced as manufacturing portable cabins require less labour cost. Most importantly, the efficiency of our workers, combining with our state-of-the-art technology, keeps the construction cost lower along with increasing the return of investment in the long run. 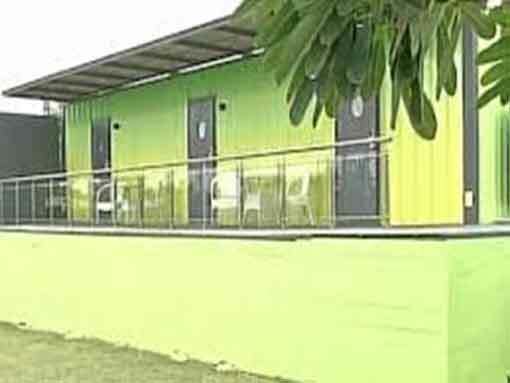 Our modular buildings keep the construction wastes to minimal due to our eco-friendly manufacturing process. We follow a pre-defined quantity of material with an aim to minimise waste and reduce the construction time. As all the construction materials are transported, clients don’t have to face any site disruption. Also, when you use the same building repeatedly everywhere you go, it will limit your need for brick & mortar constructions, promoting a healthier environment. Its energy-efficient feature helps you reduce your cost of operations on-site. You can adopt a comprehensive eco-friendly approach by adding solar power, low-watt fixtures and energy-efficient generators and set an example as an environmental –friendly organisation. Adding or altering a permanent structure requires a lot of time, resources. Our specially designed porta cabins offers you various choices and enables you to add more spaces with few tweaks. 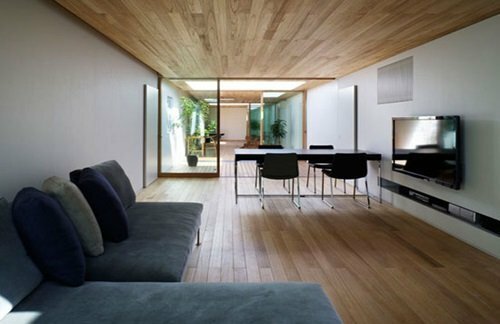 With an office cabin, you can create an adaptable space and relocate it anywhere you go. Comprising raw materials with best quality and techniques, you can develop a unique cabin that suits all your requirement. To make structural changes in future, all you have to do is order some add-ons and customise your porta cabins with a budget-friendly investment. Constructing porta cabins requires significantly less time, enabling your workforce to complete their primary jobs. With more time in hand, your workers will have the opportunity to complete the core tasks more efficiently and faster. Which eventually, saves your money, facilitating a faster return of investment. Security is a crucial factor for building portable cabins as you will have more control over your classified documents and belongings. The porta cabin kits allow you to develop a safe space to store your belongings. To add more security, you can install a temporary fence and restrict the access for unauthorised individuals. You can store your electronic equipment like generators, computers, televisions, etc. with ease. As a pioneer of excellence, we have always kept the comfort and convenience of our customers as our priority. It’s the ambience which provides a feeling on containment. Therefore, all our premium porta cabins comprise of a door height of 6-8ft which offers ample room for movement. Do you want secure site materials? Please get the quote for ACP Porta Cabins. A watch man always needs a ACP Porta Cabins.. SAMAN has designed various type of ACP Porta Cabins.That is why, we are leading manufacturer of Porta Cabins. Our price is comparatively lower than the regular market price as well. As they come with an approx cost of Rs 1,100 per sq.ft, you can build your dream office without giving it a second thought. Are you planning for shops? Do you need a ACP Porta Cabins for it.You can avail amazing offer of ACP Porta Cabins. Just ring us and get the best quote now because we are leading manufacturer of ACP Porta Cabins.